The film sounds like a hoot, FF. One to look up. I feel like I want to curl up on the sofa on a Sunday afternoon and watch this one – I do love Rutherford! OK, the cranky, irascible, annoying dedicated purist in me wouldn’t like all those changes, FictionFan, not least because I really enjoyed the book. 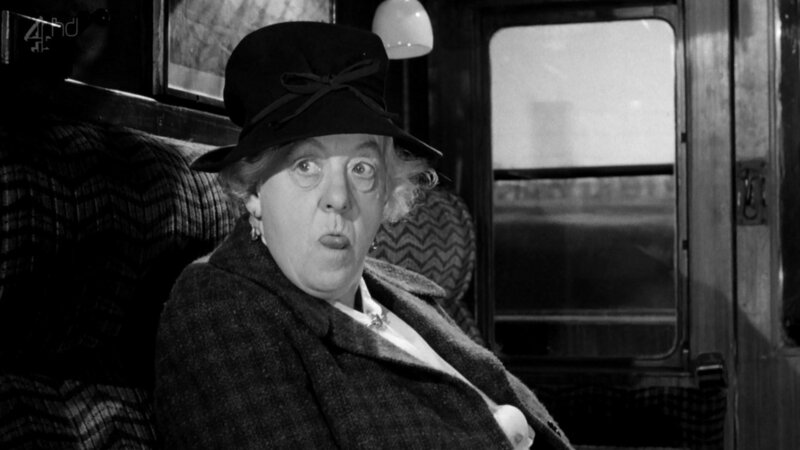 But I know what you mean – very well – about Margaret Rutherford’s acting skills. 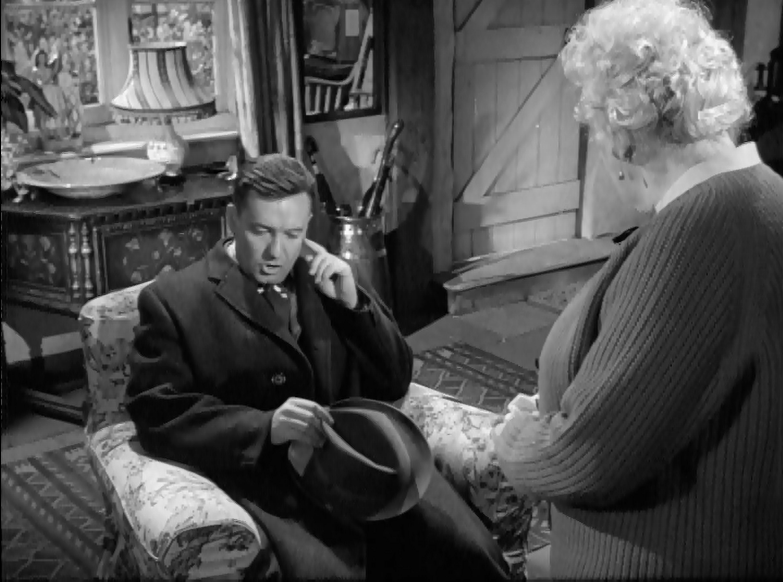 And there is that scene with the goat… Did you know Christie dedicated The Mirror Crack’d From Side to Side to Rutherford? At any rate, a wonderful review of a film that I think I’d probably want to think about on its own merits, rather than as an adaptation of a book. Did she? No, I didn’t know that. I’m glad – it must mean she couldn’t have totally hated the films then! Thank you – haha! Yes, normally all those changes would make my hackles rise, but I think the only way to approach it is to try to forget it has anything to do with the book. But it is such fun to watch! I wish I could do that, but instead I just sit there saying things like ‘it’s not like that in the book’, ‘why have they changed it/missed bits out/or added other characters, or even worse why is this Miss Marple when she doesn’t do the investigation’ and so on. But there are films of books that I do like, Atonement for one, even though the film changed the ending! I love all the Rutherford Marples, and for some reason their divergence from the books never bothered me. 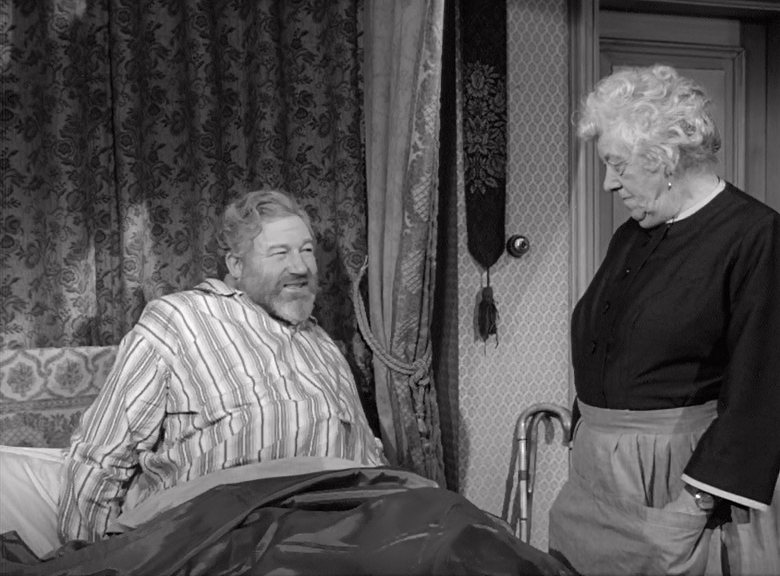 That was a period that produced some wonderful comic films – The mouse that roared, Passport to Pimlico, Arsenic and old lace………. Pity no-one is making films like these now. So do I! I think possibly they diverge so much that it’s easier to forget they’re supposed to have anything to do with the books. Sometimes it’s when they try to get it right but fail that it provokes teeth gnashing, whereas right from the off with these you know they’re not even trying to reproduce the “real” Miss Marple. Yes, it was a golden age for comedy films. 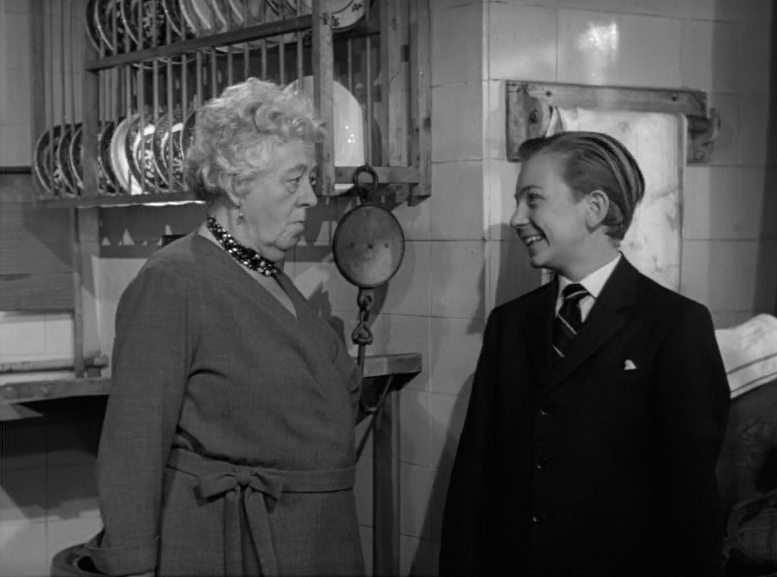 I love Arsenic and Old Lace – one of my all-time favourites. Yes!! 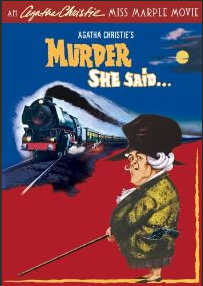 Though I’d be tempted to say read the book first – the film does stick closely enough to the plot to give away whodunit. 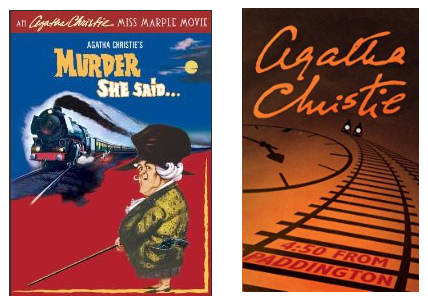 But the film is just so much fun – tragically I “had” to buy the boxset of all four of them, so I think we know what I’ll be doing for the next few evenings… 😉 I’m so excited you’ve become a Miss Marple fan! How do you feel about Tommy and Tuppence? Oh my, this sounds delightful! Not very Agatha Christie-ish, but still delightful! I’ve been schooling myself not to be a purist about movie adaptations of books so that I can be philosophically consistent with my oft-stated belief that it’s okay for movies to depart from the book (not that they usually depart for the better). 🙂 But this sounds delightful. 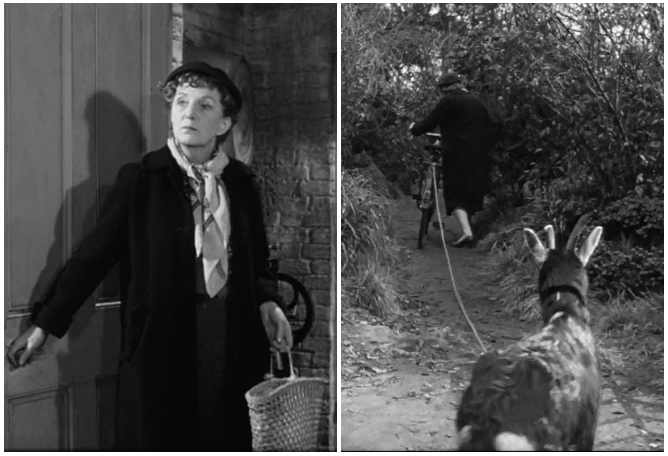 And Joan Hickson with a goat? Irresistible! 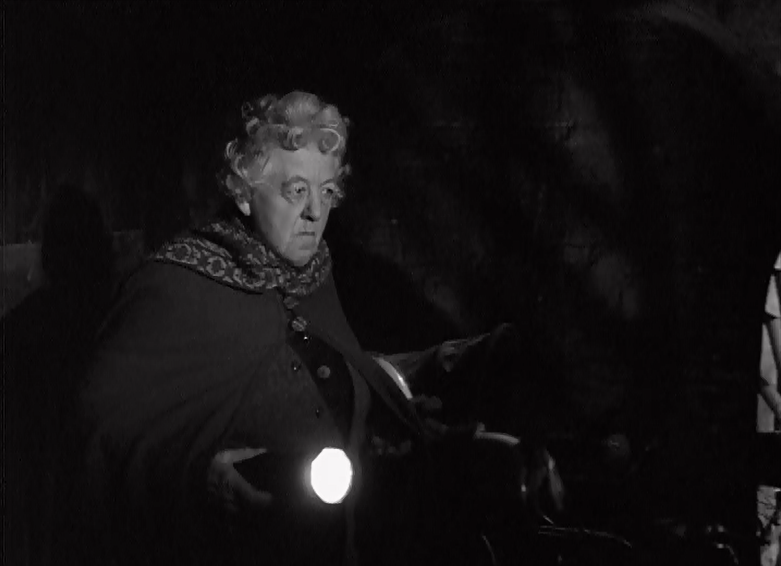 I really enjoyed your review of both the book and the film and am so glad you could join us for the Agatha Christie Blogathon! Yes,that’s true about the pointless changes or the not getting it right. Sometimes, I wish some movies would actually depart further from a book rather than be tepid or halfway faithful. I only really know her from these films. While I was watching, I was thinking I really must seek out some of her other stuff. Yes, it’s the same with pastiches or spin-offs – if they try to hard to stick to the originals then I start noticing all the discrepancies, but if they swing wildly away then I can just go with the flow. Like Anthony Horowitz’s Moriarty – it’s in Holmes’ London, but that’s almost the only connection to the originals. I loved how Mr Stringer was her husband, did read that in Wikipedia! Need to watch this one! They’re lovely together on screen too – you really feel their affection for each other. If you get a chance to see it, I hope you enjoy it! Finally a film…equaled the book! I’ve been listening to…the Patriot soundtrack! Historically raunchy movie. And sorta funny. But the soundtrack by John Williams is brilliant. Just thought I should mention that. I’ve been wearing my Pats hat as of late! Got a friend in the bookstore at Duquesne. We’re both Pats fans! Went to see him today, actually. Have you watched Civil War yet? Is that the Mel Gibson film? You shouldn’t be watching raunchy movies, sir! I hope you closed your eyes at those bits! A friend in a bookstore – my fantasy!! He’ll be able to keep all the good books aside for you… give me his e-mail address so I can send him your TBR immediately! Why are you wasting time talking to him about football when you could talk about books!!! *laughs* Hey! Soon, I said! Soon!! The film sounds fantastic. As for literary comparisons, I’m more familiar with Poirot than with Miss Marple. I’m glad both book and movie hold still and are worth checking out. The film is great fun even if it’s not exactly faithful to the book! 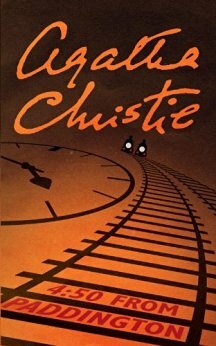 I used to prefer Poirot but gradually over time I began to appreciate the Miss marple books more and now I prefer them. I still love the Poirot ones too, though. 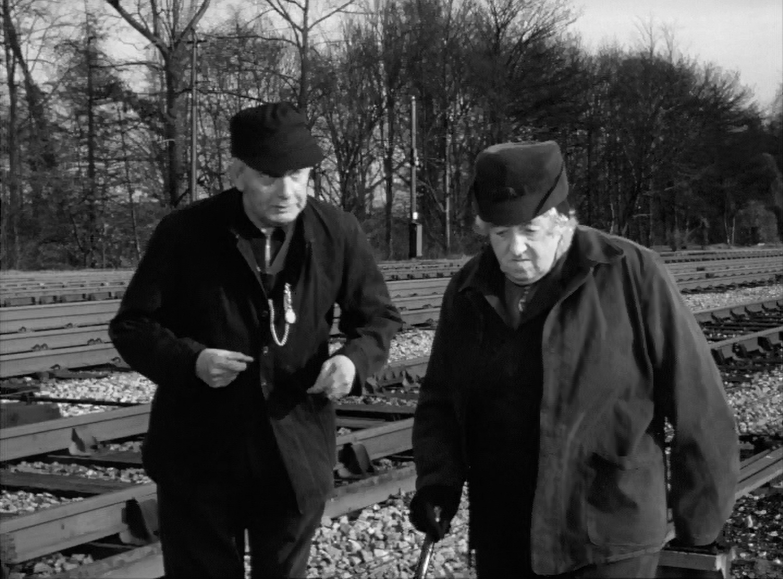 This plot reminds me so much of The Lady Vanishes from Alfred Hitchcock. It’s quite funny and revolves around the “you must have been crazy or dreaming in the train” thing. Holy crap, I didn’t realize there was a book though I should have because Hitchcock always made films from books!! If the writing is anything like it is in the movie, I bet it’s fast paced and witty.